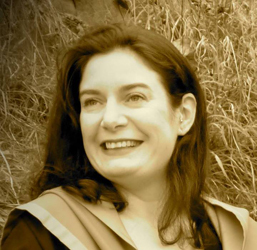 Kirsty Wilkinson is the owner of My Ain Folk, a Scottish genealogy research firm. Kirsty began researching her own ancestry when she was in her early 20s and soon developed a passion for family history. She increased her knowledge of genealogical sources through personal and formal study and in 2006 launched My Ain Folk to assist others with tracing their ancestors. Since then she has gained many hours of practical research experience in Scottish archives and record repositories and helped clients worldwide to discover their own family story. She has a particular interest in paleography (old handwriting) which enables her to carry out research in pre-1700 records and to transcribe handwritten documents from the 1500s-present. Another specialisation is heir- or descendant-tracing and locating living relatives. She has successfully located heirs to estates on behalf of probate research firms in the UK, Europe, Asia and the US and enabled private clients to reconnect with long-lost cousins. Learn more about Kirsty at her website www.myainfolk.com. Set realistic fees and work out how much you can realistically make. Kirsty does use Dropbox but she is otherwise fairly low tech.